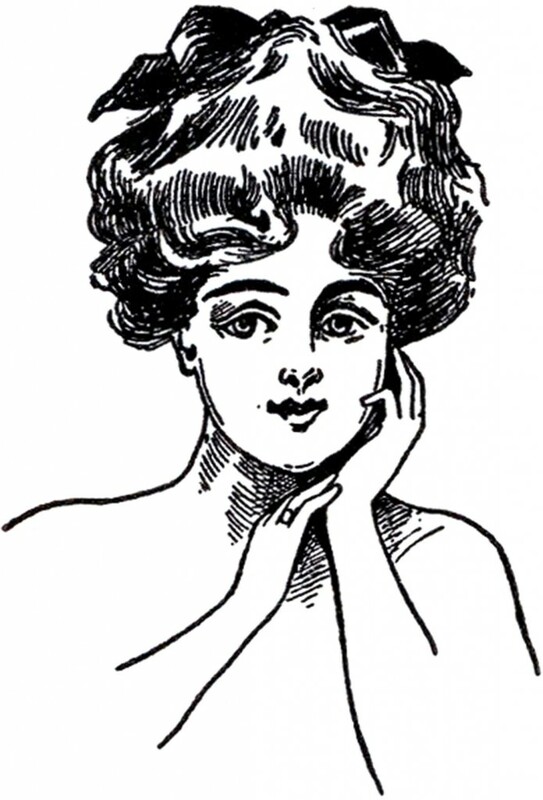 These are three classic looking Gibson Girl Images! These come from my new favorite book, it’s a rare Circa 1907 Pyrography Catalog! The catalog is full of patterns, tools and accessories for the art of Pyrography, which is when you burn a design into wood. 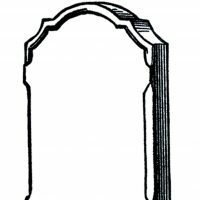 This intricate design would have been used for that purpose, and added to boxes or small furniture pieces. 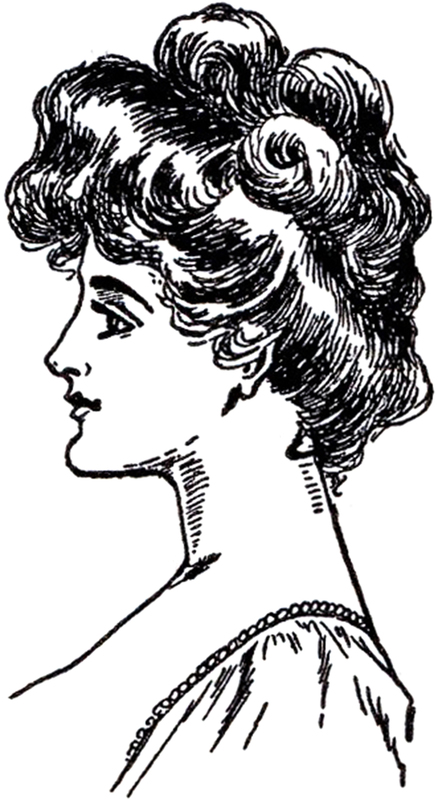 Each of these illustrations show a pretty lady, with the classic Gibson Girl Hairdo, showing the hair in a loose bun on top of the head. 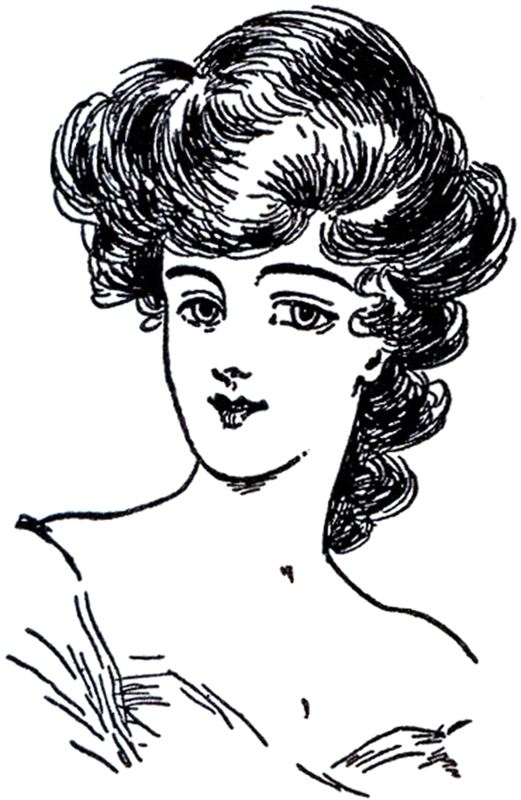 The lines are a bit bolder than the some of the other Gibson Girl Images that you may have seen, which is due to the art form that these were intended for. I think the bolder lines lend themselves well to projects where you need more of an impact. Perfect for Pillows or Guest towels, or maybe even for Tattoos if you are so inclined! Welcome, I’m so glad you’re here! Browse around to find thousands of Stock Images that you can use in your projects or designs ! Need more info about my site? Try my FAQ page. Thanks, Karen. These are very pretty images!